If you own diamonds or plan on buying one, you’ll need a GemLab Diamond Quality Report. The only way a diamond's true quality can be established is by analysis loose from the setting, by qualified professionals such as at GemLab. Unfortunately many valuations are done on diamonds assessed in the setting where the carat weight and quality can only be estimated and the margin of error is wide. Even if done by an experienced diamond grader or valuer the resulting value can be a mile out. Purchasing a diamond on the basis of a valuation in the setting should be avoided. 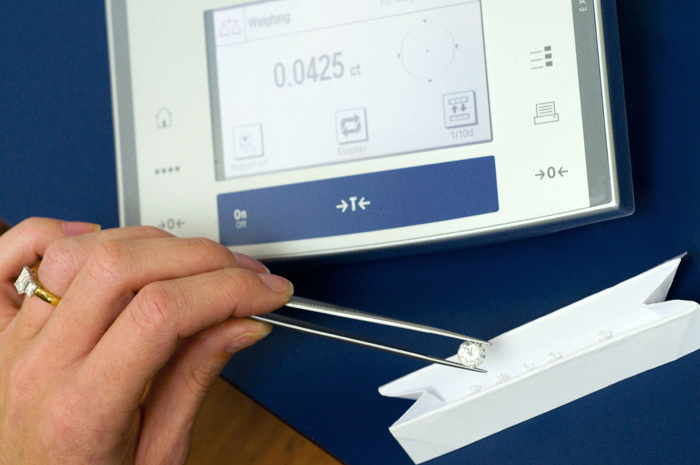 GemLab Diamond Quality Reports are independent, accurate assessments of the size, weight, and quality of loose diamonds. They will enable you to compare "apples with apples" and will give you confidence in your diamond purchasing decision. Why risk buying a diamond without a GemLab Quality Report? Of course some diamonds come with other documentation. But how do you know this is unbiased and correct? Can you be sure the report is for that diamond? You should at least have GemLab verify it for you. This can be easily arranged through your Jeweller or by calling GemLab on (09) 489 9919. Add a valuation at the same time for only $30. A GemLab Diamond Report can be verified online as true and genuine, by using the form below.